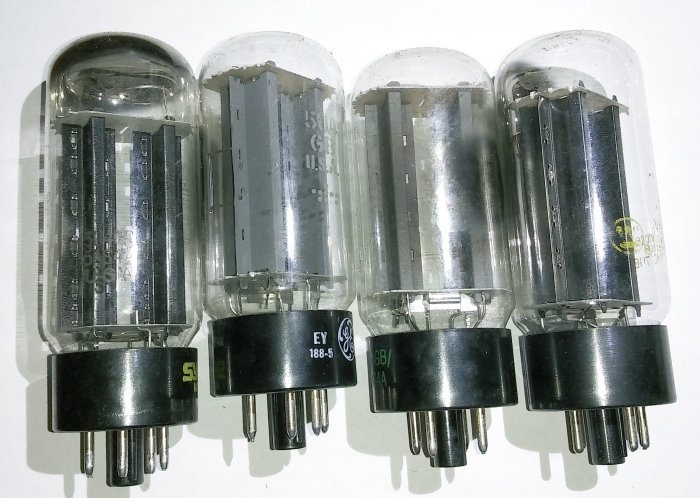 5U4GB rectifier tube NOS types. We have good stock of this popular 5 volt rectifier tube in original boxes in assorted US brands 1 pc. price. Also available in large quantity is the NOS Svetlana 5U4G(5U_3C) in this section with ST shaped glass. Manufactured by: US NOS types.